Colorado DUI Arrest Attorney - Christian A. Schwaner, P.C. As a licensed driver in the state of Colorado, you are required to obey all applicable driving laws from the moment when you get behind the wheel. Some of these laws tell you how to properly operate your vehicle, but others specifically pertain to when you are considered legally unable to drive safely. Operational laws, which focus on areas like alcohol and marijuana DUIs, all fall under a very strict statute known as the Zero Tolerance Law in the state of Colorado. 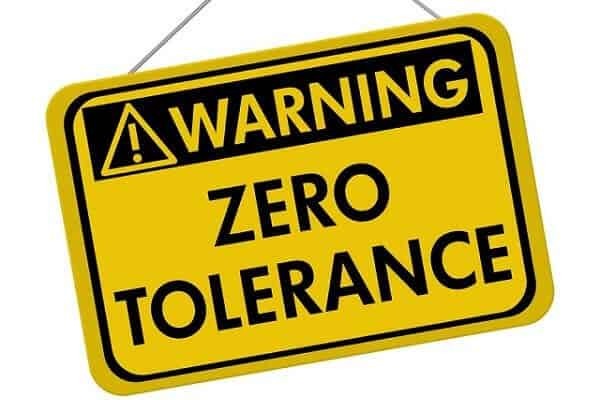 If you are unfamiliar with the Zero Tolerance Law, it is in your best interest to become accustomed to it – because it could play a critical role if you are ever arrested for a DUI. Zero tolerance laws are not uncommon – in fact, dozens of states in the country have implemented them. These statutes prohibit certain types of drivers from consuming any substance that could impair their driving abilities – this includes drugs (such as prescription or recreational) and alcohol. In Colorado, the zero tolerance laws become a factor when an underage driver is pulled over for a DUI. The zero tolerance law in the state prohibits any amount of alcohol or drugs in their system if they are under the legal drinking age of 21 years. To file charges citing the zero tolerance laws, the DWAI or DUI incident would need to stipulate that the underage driver had a BAC as low as 0.02 percent. This can be as little as a single drink, which means that one drink could instantly put an underage driver in violation of the zero tolerance laws in the state – and then he or she could be charged with a DWAI or DUI. Also, if the underage driver has any illegal drugs in his or her system, the driver can be charged with a DUI under the zero tolerance law. Underage drivers are not the only drivers subject to zero tolerance violations. In the state of Colorado, any driver who is convicted of a DUI in Colorado is subject to the zero tolerance policies if he or she is currently on probation. Drug impairment can play a role in a zero tolerance arrest. If a motorist of any age is using illegal drugs (whether prescribed, over-the-counter, or recreational), and if that drug impairs his or her driving ability, then the driver can be subjected to the zero tolerance laws and punishments. Over-the-counter medications could fall under zero tolerance laws. If you are having difficulty sleeping, and you take a sleeping medication and then drive, you could be convicted of a DUI under the zero tolerance law. This is because you knew the medication would make you drowsy and you knew it impaired your ability to drive; therefore, you were driving while under the influence. Not all DUIs are zero tolerance applicable. Even if you are pulled over for a DUI, you may not be subject to the zero tolerance law. These laws do not affect all DWAI and DUI cases. Instead, it is estimated that only 30,000 DUI arrests each year in the state actually fall under the zero tolerance law. Whether your case is a zero tolerance issue or not, you need an attorney to represent your rights after a DUI arrest. The penalties for even first-time offenders can be harsh. If you or a loved one has been arrested, contact a DUI attorney who understands the zero tolerance laws and how they could affect you. Contact Christian A. Schwaner, P.C. now at 719-577-9700 to schedule a consultation, or fill out his online contact form with your legal questions.